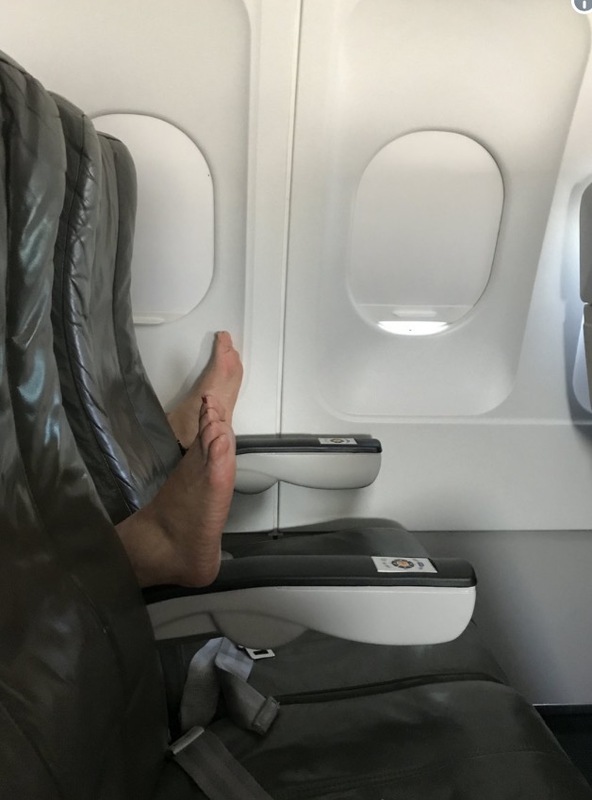 THOSE are the ones they should force off of “overbooked” flights. Barefoot on Broadway – what do you think of this behavior? Photo by Michele A.